Prefers filtered shade or afternoon shade with morning sun. Actual varieties may differ from picture. 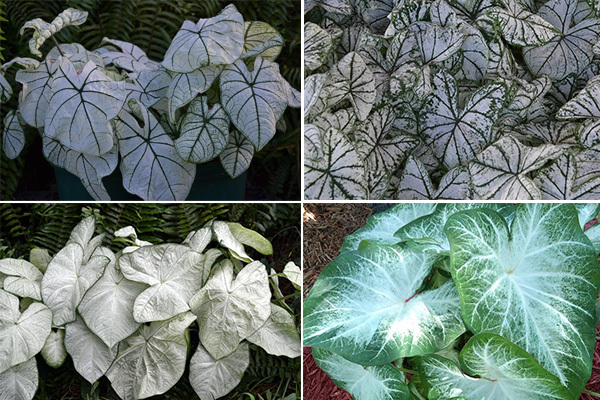 This is a mixture of jumbo white caladiums.